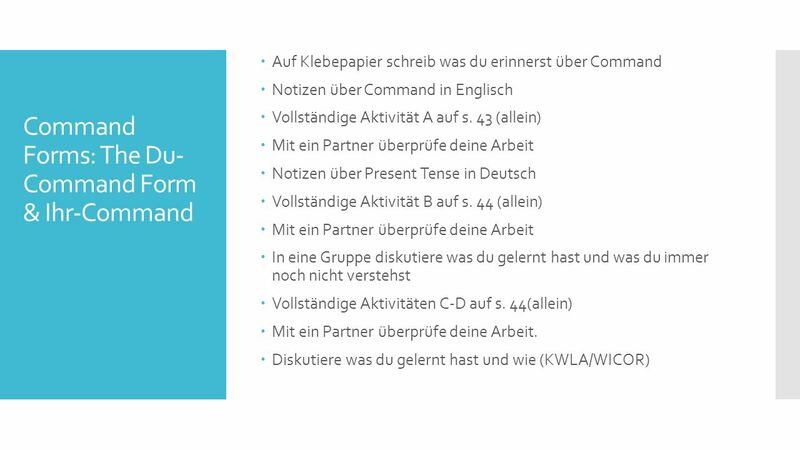 Kapitel 8 Grammar INDEX 1.Command Forms: The Du-Command Form & Ihr- Command 2.Sentences & Clauses. 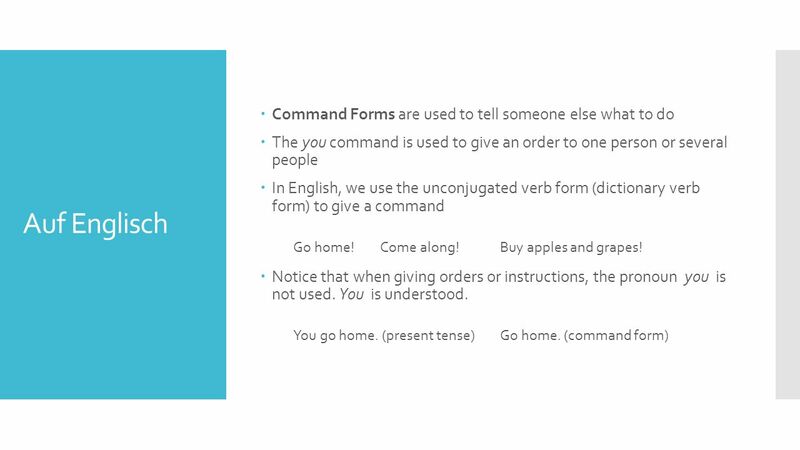 5 Auf Deutsch  The command forms work like English, in that the pronoun is understood: no du or ihr is used in the command itself. 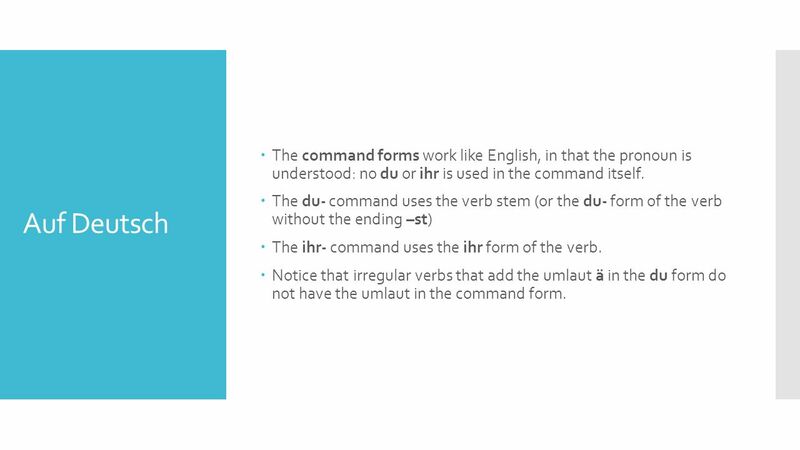  The du- command uses the verb stem (or the du- form of the verb without the ending –st)  The ihr- command uses the ihr form of the verb.  Notice that irregular verbs that add the umlaut ä in the du form do not have the umlaut in the command form. 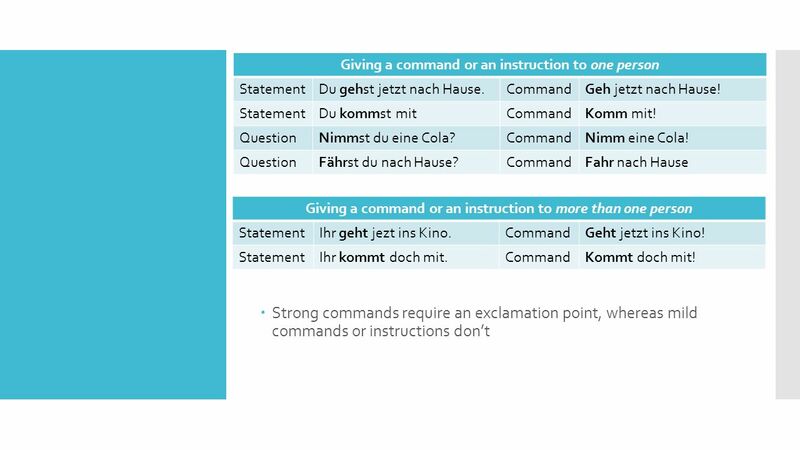 6  Strong commands require an exclamation point, whereas mild commands or instructions don’t Giving a command or an instruction to one person StatementDu gehst jetzt nach Hause.CommandGeh jetzt nach Hause! 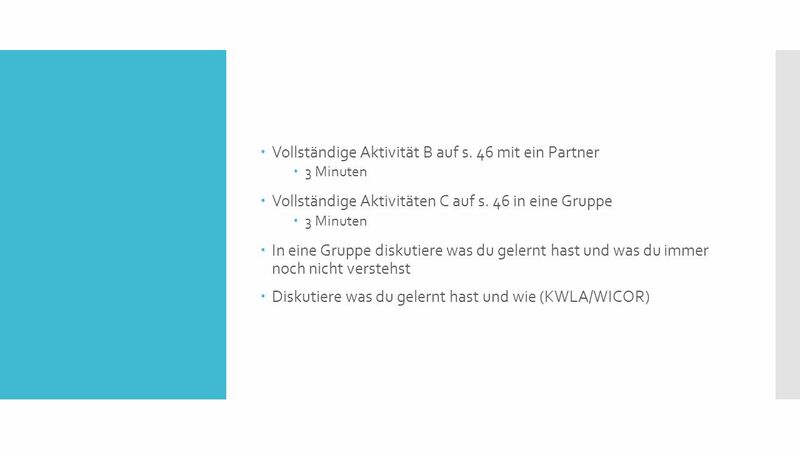 StatementDu kommst mitCommandKomm mit! QuestionNimmst du eine Cola?CommandNimm eine Cola! QuestionFährst du nach Hause?CommandFahr nach Hause Giving a command or an instruction to more than one person StatementIhr geht jezt ins Kino.CommandGeht jetzt ins Kino! 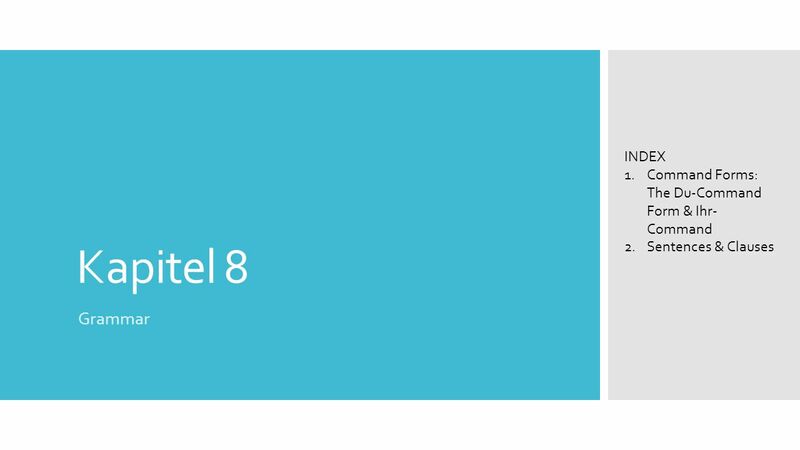 StatementIhr kommt doch mit.CommandKommt doch mit! 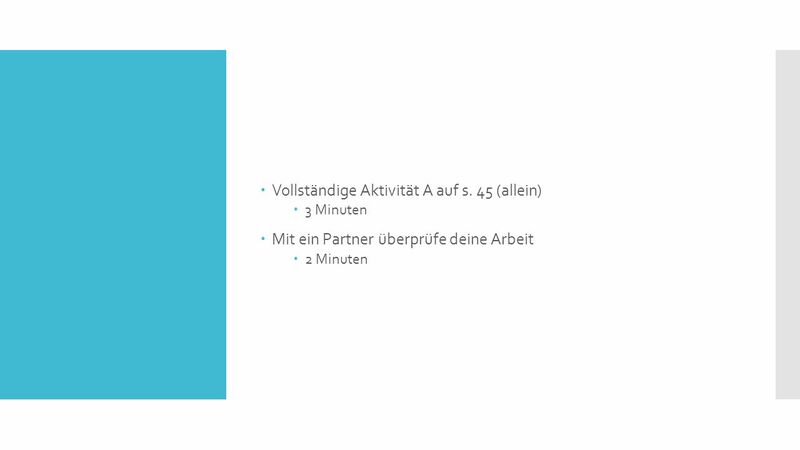 13 Auf Deutsch  A conjunction is a word that joins together words, word groups, sentences, or clauses; in English, words such as and, but, because, as.  I can’t go to the movies because I have no time. 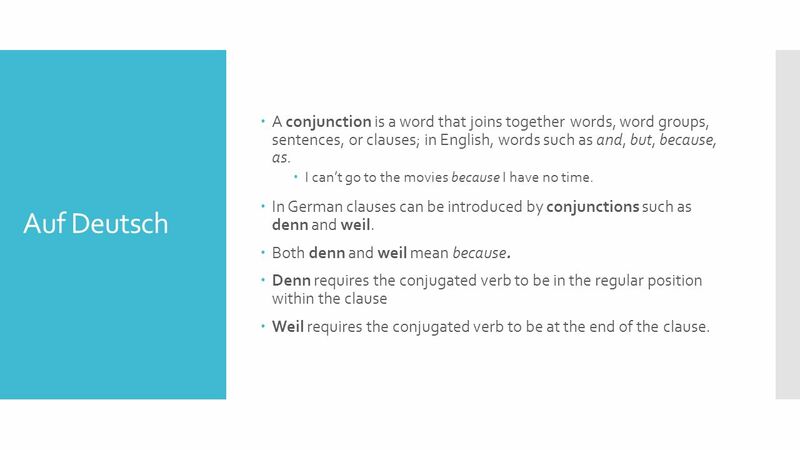  In German clauses can be introduced by conjunctions such as denn and weil.  Both denn and weil mean because. 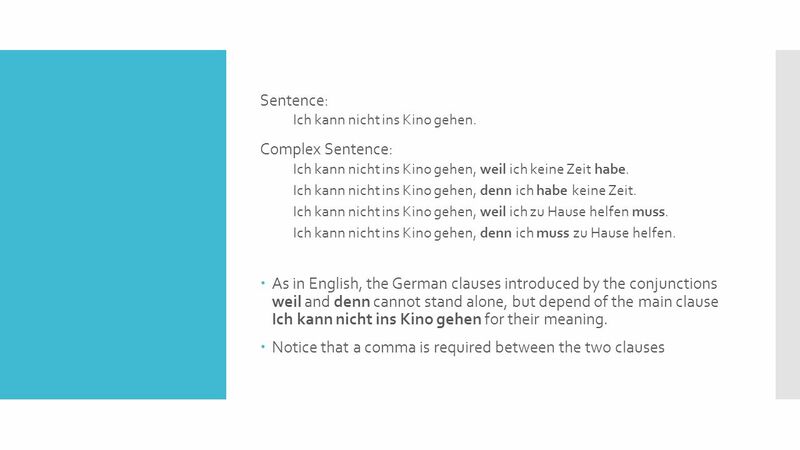  Denn requires the conjugated verb to be in the regular position within the clause  Weil requires the conjugated verb to be at the end of the clause. 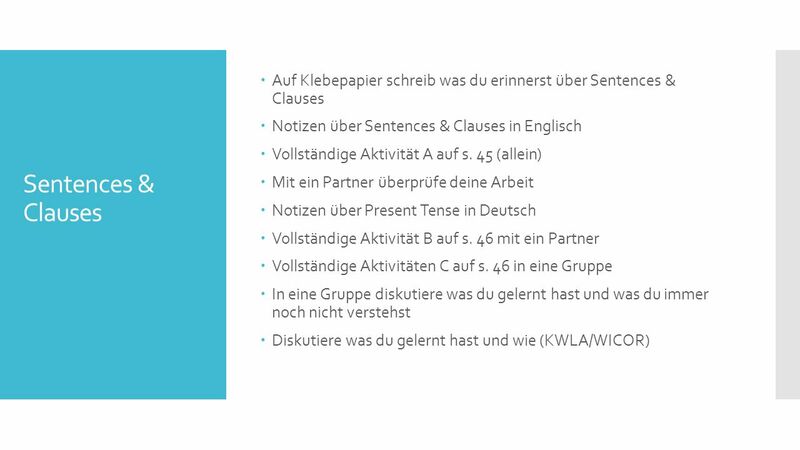 Herunterladen ppt "Kapitel 8 Grammar INDEX 1.Command Forms: The Du-Command Form & Ihr- Command 2.Sentences & Clauses." Separable Verbs There is a group of verbs in German called separable verbs = trennbare Verben. 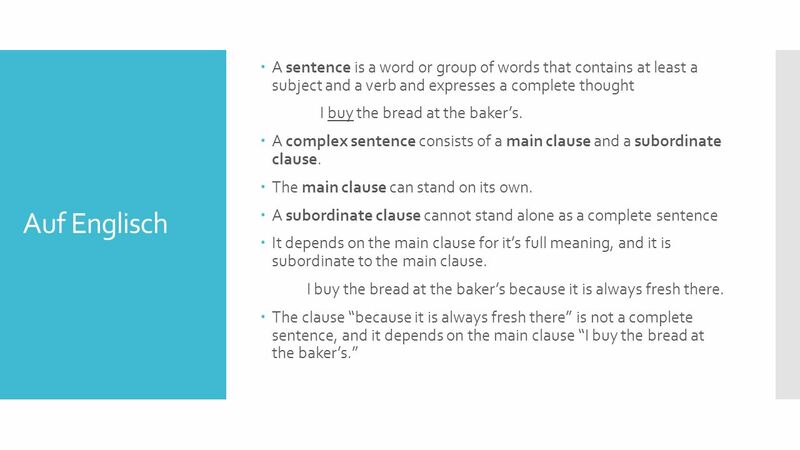 Subordinate (Dependant) and Coordinate (Independent) Conjunctions. Negation is when you dont have or dont do something. Normal Word Order Peter schwimmt. Inverted Word Order Schwimmt Peter? Relativpronomen Der Mann ist mein Onkel. --Wir haben den Mann im Theater gesehen. 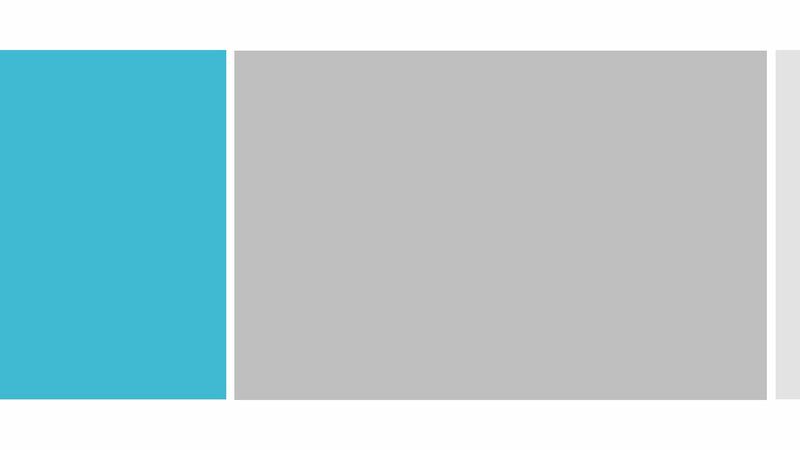 You can express related ideas in separate sentences, or you can. Konjugier,,sein”! ichwir du ihr er, sie,essie, Sie. 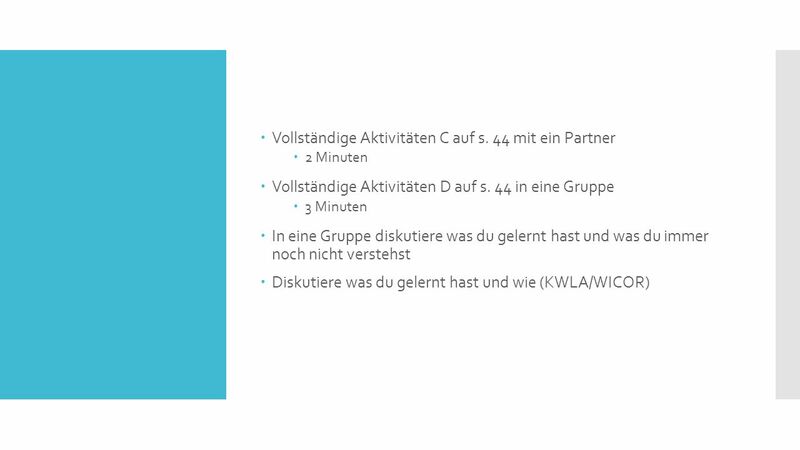 Kapitel 7 Grammar INDEX 1.Comparison 2.Adjectives 3.Adjective Endings Following Ein-Words.